How Do You Multiply Radicals? When you multiply radicals together, you need to use the same property that you use to simplify radicals, except in reverse. 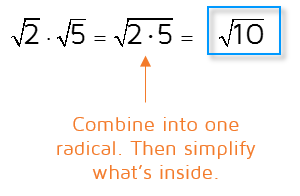 To simplify a radical, you used this property to split up a radical into two separate radicals. This property can also be used to multiply radicals together. When two radicals are multiplied together, you can combine them into one. To multiply two radicals together, you can first rewrite the problem as one radical. The two numbers inside the square roots can be multiplied together under one square root. Simplify what's inside the radical to write your final answer. First, combine the two into one radical. In this case, we can't leave the answer as the square root of 12. It's important to make sure that your answer is simplified. Look for factors of perfect squares (4, 9, 16, etc.) that you can pull out and simplify. Make sure to check out our lesson on simplifying radicals if you need a refresher on how to do this step. The 2 and the 7 are just constants that being multiplied by the radical expressions. 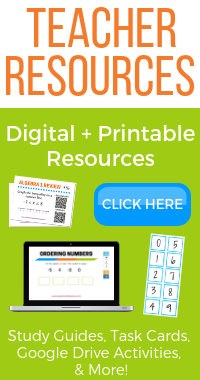 We know from the commutative property of multiplication that the order doesn't really matter when you're multiplying. 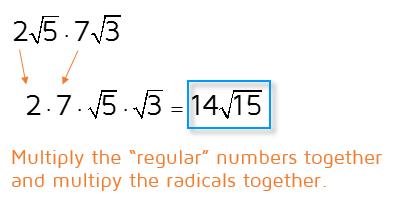 This means we can rearrange the problem so that the "regular" numbers are together and the radicals are together.